I’ve been knitting for just over half my life. Twenty-six years. I’m a piker compared to some knitters, but still, I marvel at this number. I have a little book that I used to keep weaving and knitting notes in, and though I can’t say for sure when I began writing in it, it does go back a long way. Nowadays, I keep all my notes on my PDA, but I still need my little book. There are the basic hat patterns I used when I sold handspun hats to match the scarves I wove; the little secret formulas for my crocheted bags and bowls (I made literally hundreds of the tiny things over the years); calculations and sketches for woven pieces that I wanted to be able to duplicate; tips and tricks found here and there; bits of yarn; and stitch patterns, mostly lace, that I used over and over again. 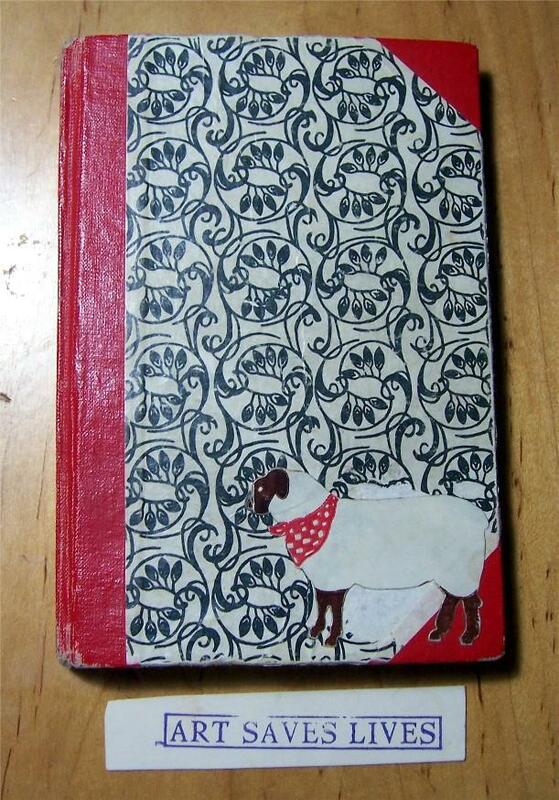 And for about twenty years, tucked into the pages of this sheep-stickered book, have lived the rubber-stamped words “ART SAVES LIVES.” The little slip of card came from my friend and teacher Bunny Christie, who was an amazing artist and writer. She was in the habit of giving little bits to us, her journal class, as inspiration or serendipity struck her. I smile and remember her every time I come across the words, because art certainly saved her life, for as long as it could, and it continues to save mine. I know it was probably meant as a political statement (it was the 1980’s, when living in Ronald Reagan’s America was a sad time for any artist) but to me it’s just one of those Universal Truths. I was poking around in my little book the other day and I came across a pattern for lace leaves that I don’t remember using, but that I must have. It’s dated “10/90” and there are notations for needle size and number of stitches. What yarn did I use? Whatever happened to that scarf? Who bought it, and might they possibly have it still? I like this stitch, and I think it might be nice knitted in the yarn I’m spinning now. I’ve been working too hard and too much this week to make much progress on any of my projects, but I’ve managed a few rows on my second Go With the Flow sock and my Manos sweater, a couple of inches on my Amazing Twining Lace scarf, and a half of a bobbin of yarn. All told, that’s a lot of life-saving. There will be time for all of it today, along with laundry. Clean clothes might not save any lives, but they certainly are nice to have.